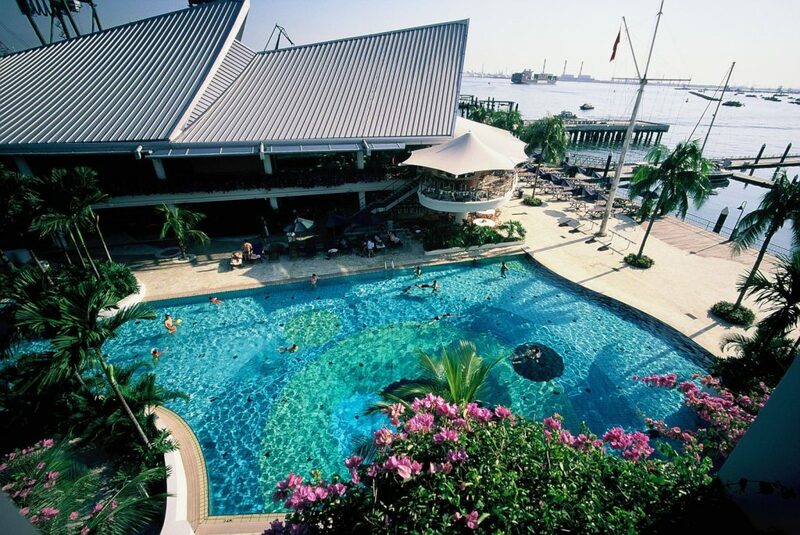 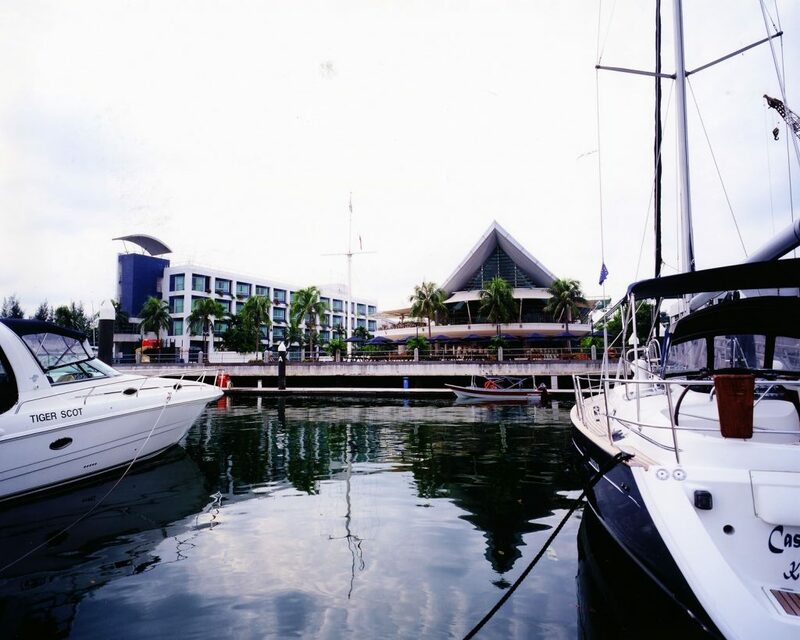 The Republic of Singapore Yacht Club will comprise walk‑on pontoon berthing, for 175 boats up to 80', protected from the open sea by a floating wave attenuator. 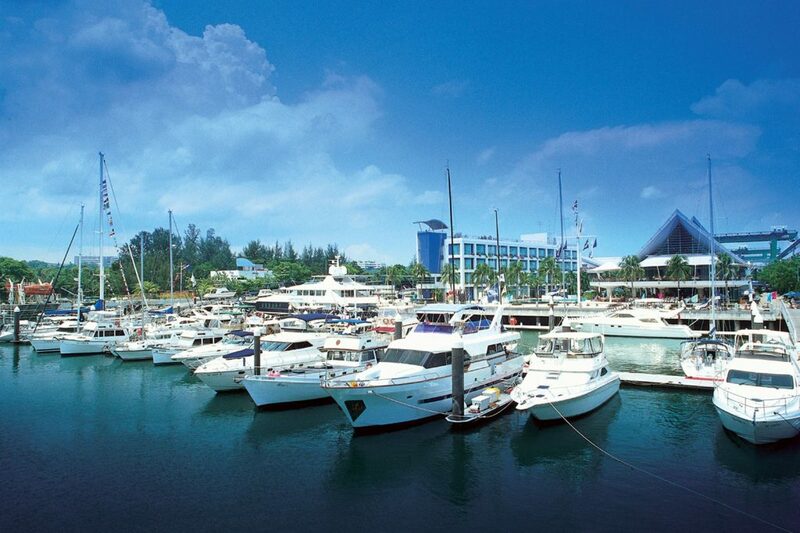 Boater will be able to take provisions right up to their boats on motorised buggies. 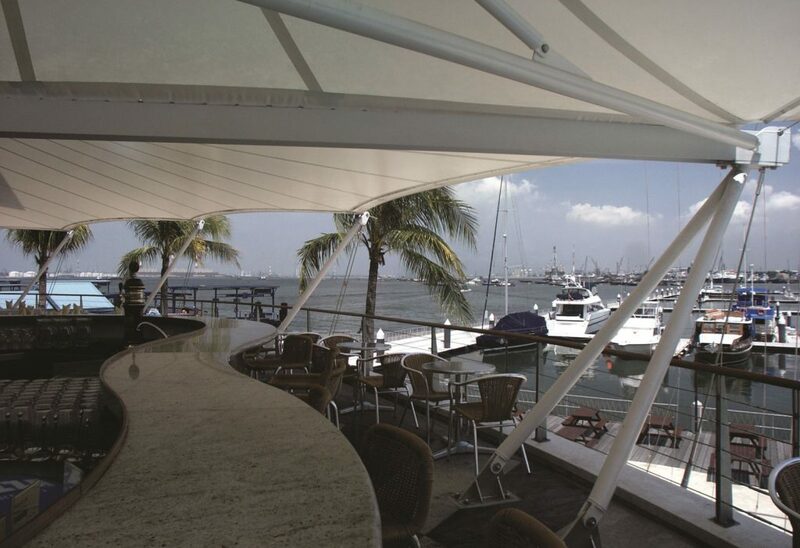 A 'racked' dry boat storage structure will provide further capacity for 300 boats up to 40'. 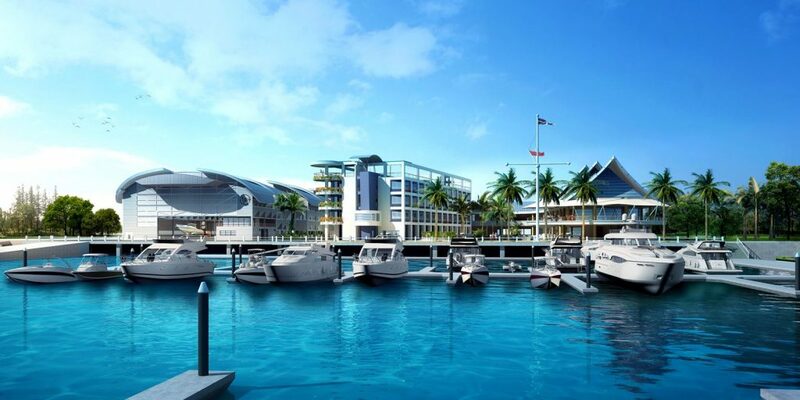 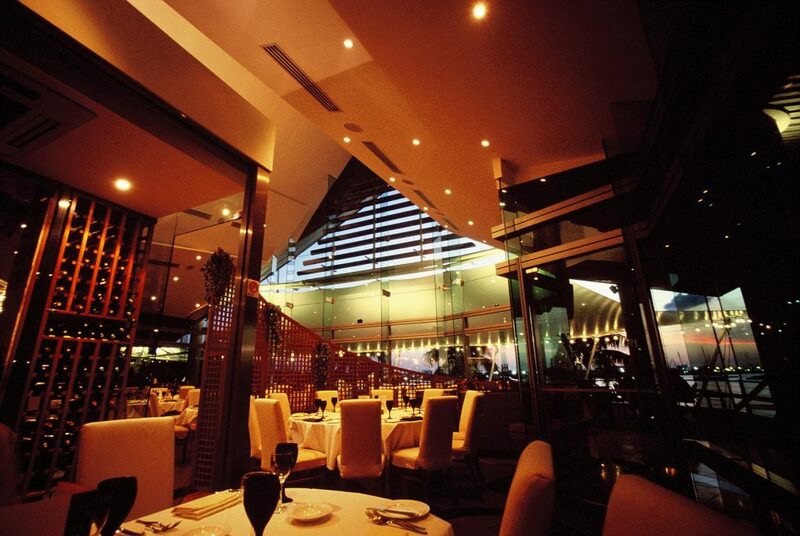 The Club will have a 7500 sqm Clubhouse, which has been designed in a contemporary, nautical idiom. 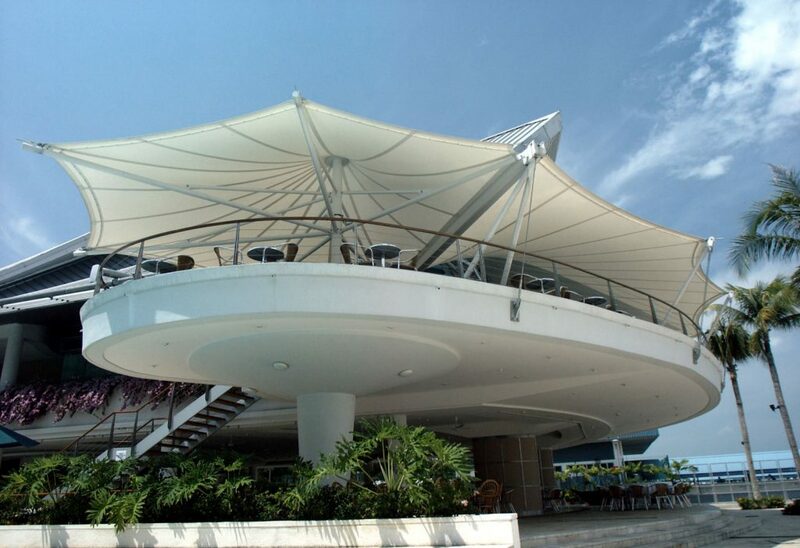 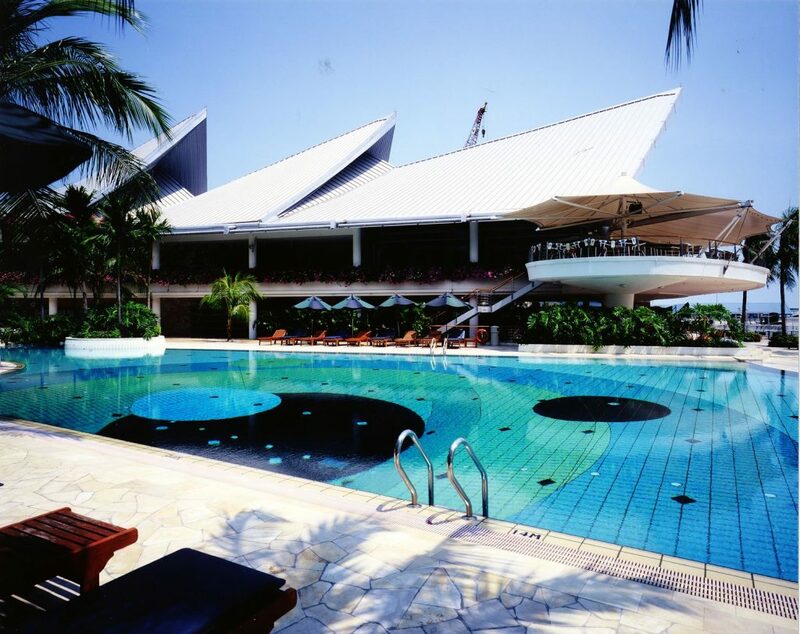 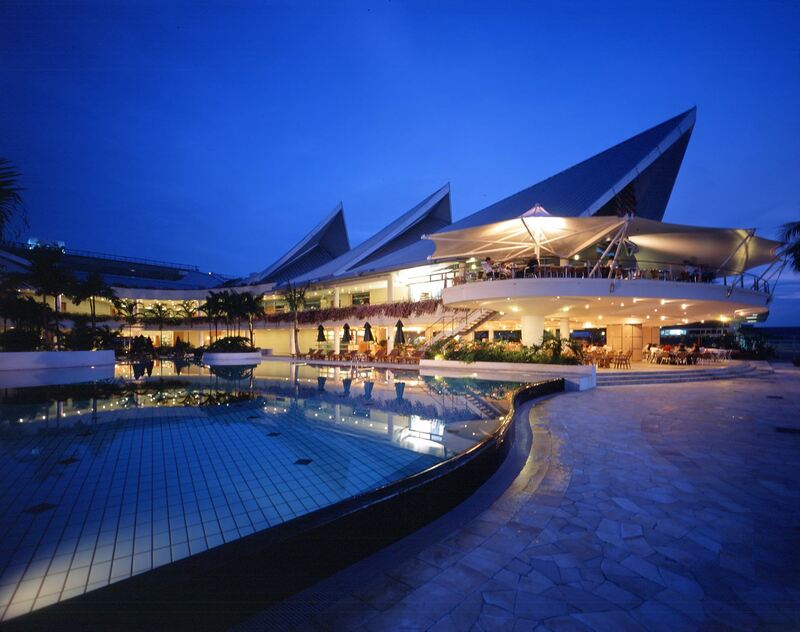 The roof of the clubhouse is distinctive, both as a modem reflection of the traditional minangkabau roof form and as a metaphor for yachts sails, and will present a readily identifiable landmark for returning yachtsmen. 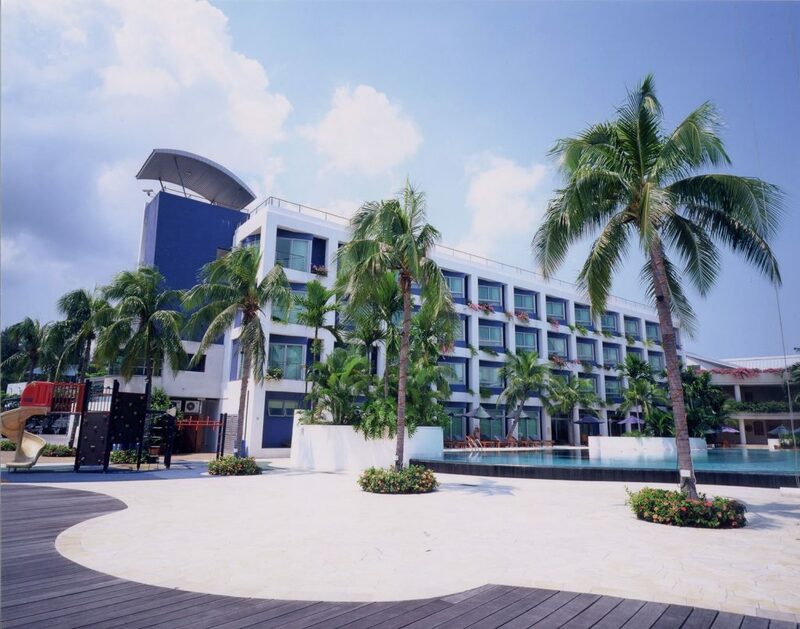 The clubhouse, which has two restaurants, gym/ fitness centre, function and business facilities as well as 40 guestrooms and suites, is arranged in courtyard fashion, centred around a swimming pool. 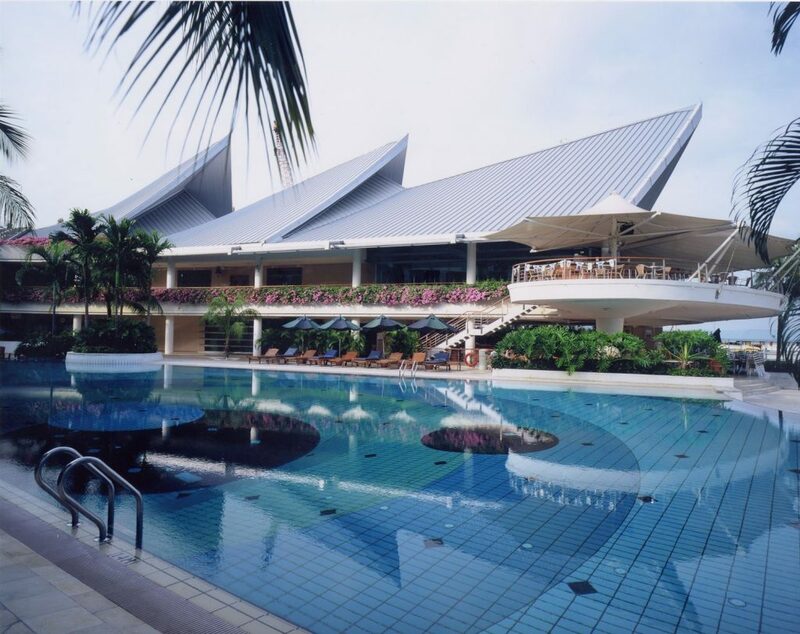 The pool deck extends into the circulation and activity spaces of the club, allowing members to take advantage consistent warmth of the tropical climate. 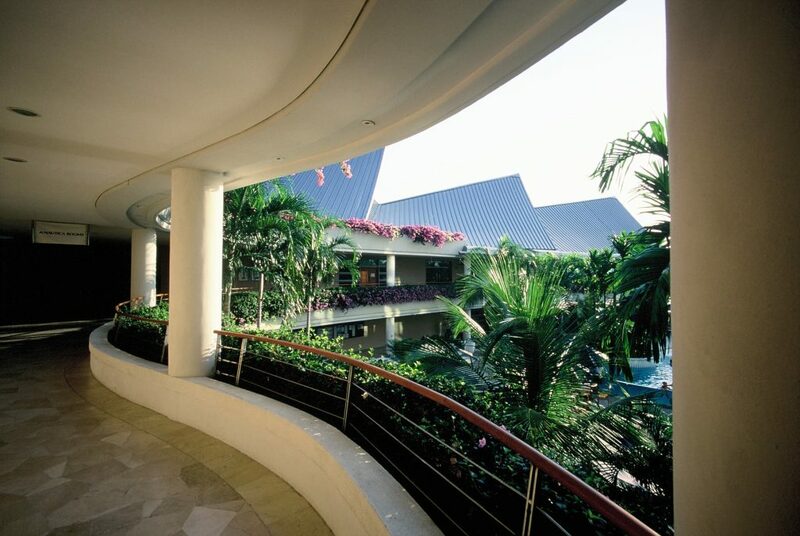 An entrance foyer, which looks over the pool and marina beyond, will be the location of a permanent exhibition, encapsulating the clubs long history and heritage.